Day 4 - Sewing the bound waist tie openings. 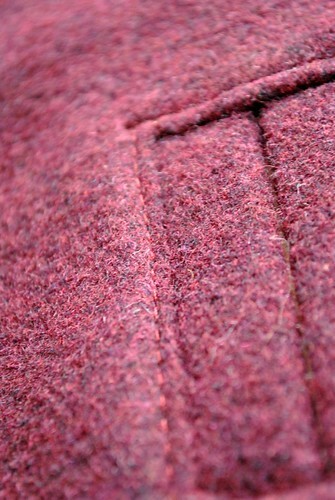 You will need a copy of The Carnaby Cape pattern. 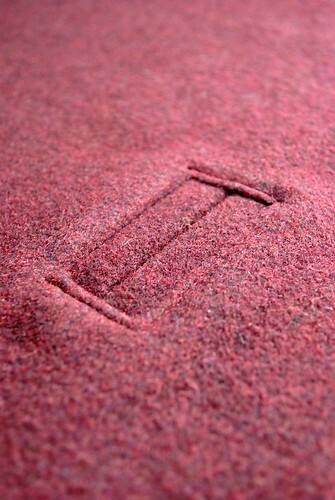 I recommend you practice this at least once on some scrap fabric as it is quite tricky. Fold the 8 welts in half long edges and wrong sides together. 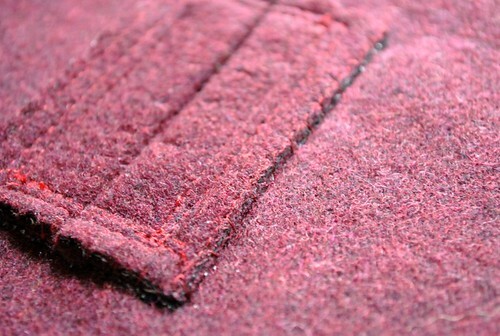 Press and stitch close to the raw edges to keep them together. 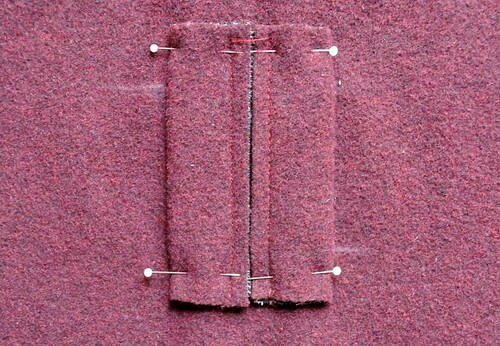 Fuse the area you have marked on the wrong side of the fabric. 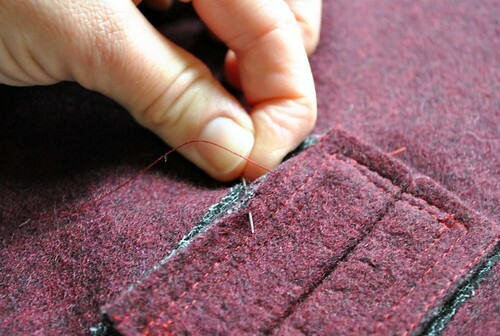 With the right side of your fabric facing up pin your welts to the line with the raw edges to the centre. Take your time doing this as it must by EXACT. 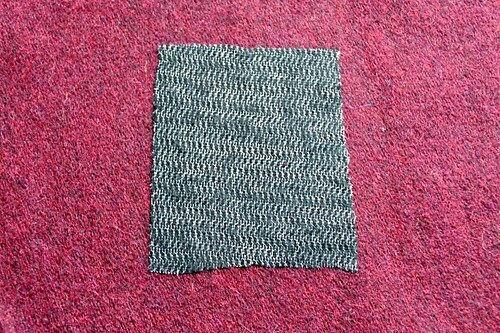 Stitch 6cm exactly down the centre of each of the welts (1.5cm from each end). Backtack at each end to secure. 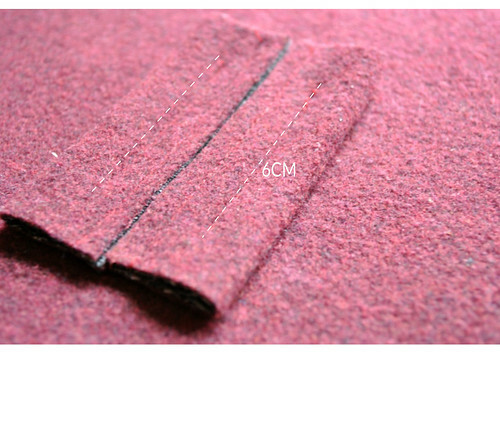 Cut the fabric between the welts stopping 1.5cm from either end of the stitching. Create a triangle at each end. Do not cut past your stitching points. 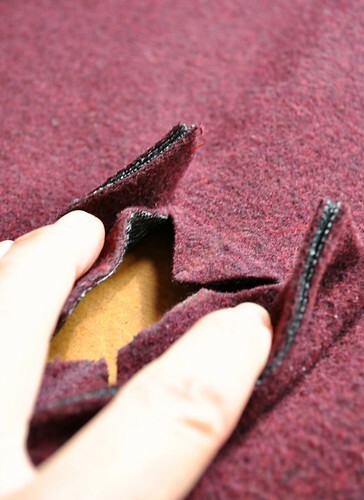 Fold the welts through the opening to the wrong side of the fabric and press in place. 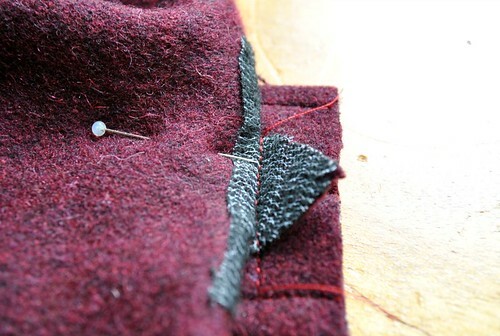 Using a large diagonal stitch and contrasting thread sew the opening closed to stabilise. At the top and bottom fold the main fabric to the side and stitch the triangles down as close as possible catching the welts. Make sure the welts are butted against each other when doing this. The stitches will not show on the right side of your fabric. 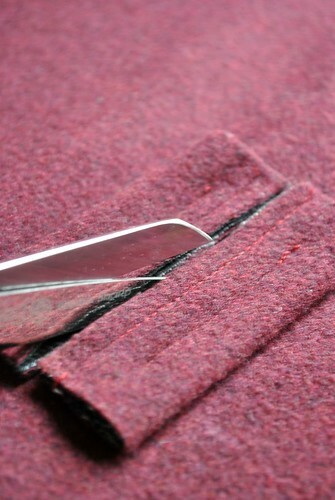 Top stitch around your bound opening using a neat straight stitch. Take your time! 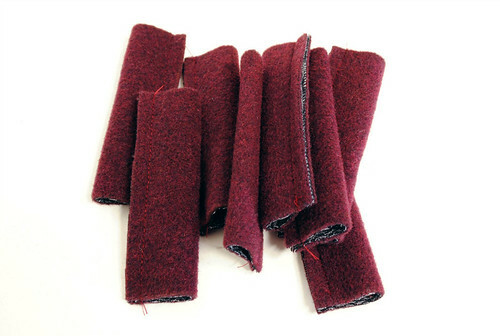 Trim away any excess fabric on the wrong side and hand stitch in place using an overcast stitch or catch stitch. Et voilà! You have a beautiful bound opening. 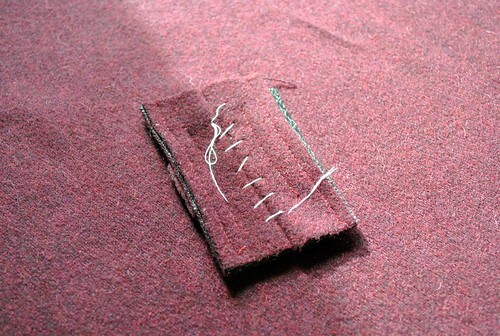 On Monday we will be sewing the shoulder buttonholes by machine or hand. I will be showing you how to do both.